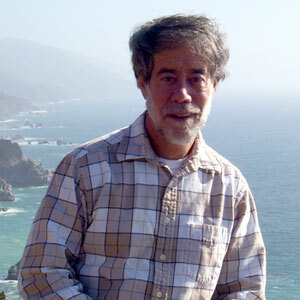 We're shining a spotlight each month on one of our wonderful volunteers. Our volunteer corps may be small, but it is characterized by immeasurable selflessness and compassion. Stay posted to our web site and Facebook, as well as this newsletter, for the low-down on some of the most remarkable people around! While so much attention is paid in the media to troubled youth, our experience with young people demonstrates that compassion, dedication, and commitment to community are alive and well. From Eagle Scouts who have coordinated shelter construction to youngsters organizing supply drives or collecting donations in lieu of birthday gifts, the free roamers we serve have benefited from the efforts of these young men and women. Twelve-year-old Lexis Lambert began volunteering for the foundation in September 2015, helping virtually every Volunteer Work Day and at various events. An Enola resident who attends 7th grade in East Pennsboro Middle School, Lexis dreams of becoming a famous author/screenwriter. She recently authored an article for our newsletter about her experience observing an eye enucleation in our surgery clinic! 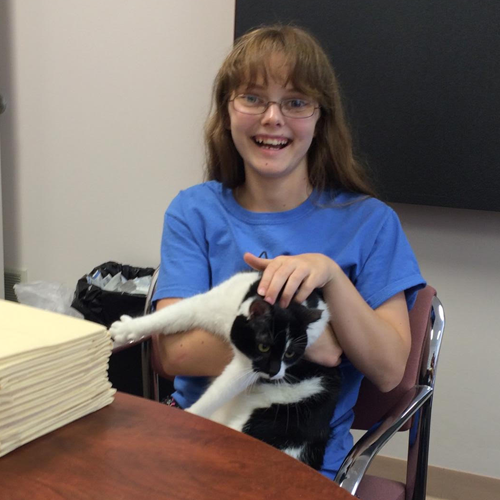 Her favorite part of volunteering is seeing the cats, especially Sales Associate Phoebe Weebleman, who obviously loves seeing Lexis too! Lexis loves all kinds of animals and shares her home with one dog, a cat, and four bunnies. We are so grateful that Lexis has dedicated so much of her time and energy to the free roamers. A CPA who holds a Master's Degree in Business Administration, Nancy first volunteered for the foundation in late 2012, providing practical advice and guidance about financial processes and procedures. Her role broadened in 2013 when she became a board member and treasurer. By helping create and manage the "nuts and bolts" that underpin our businesses processes, Nancy has contributed to the solid groundwork from which the foundation can thrive in the future. According to Nancy, "volunteering for NCF offers me the opportunity to proudly be part of a winning team that works together to make a difference". 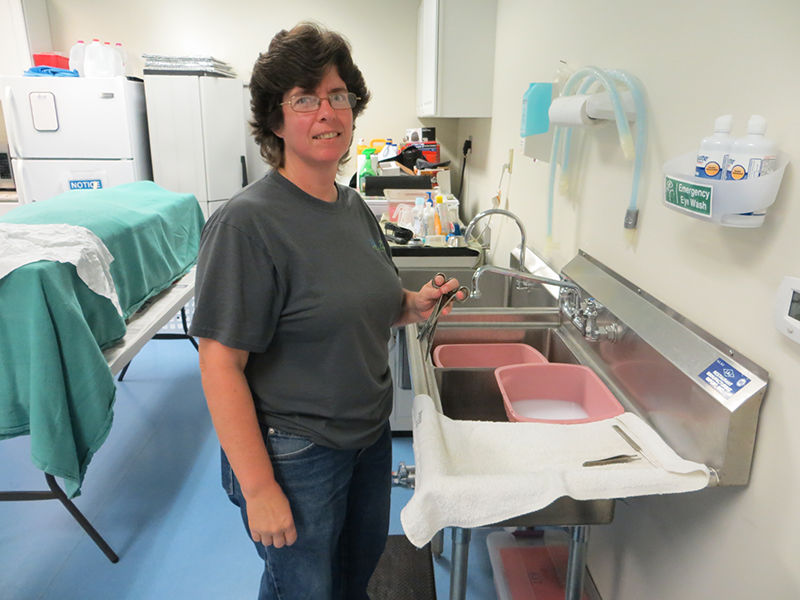 Nancy also volunteers for the York County SPCA, the United Way of York, and the Sons of Italy in America-York Lodge. 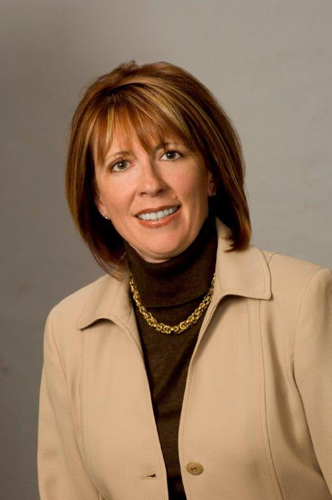 She and her husband Vito provide professional real estate services to residential and commercial clients in eight south central Pennsylvania counties in affiliation with RE/MAX Delta Group. They share their York County home with five cats adopted from various shelters and a small free-roaming cat colony that is humanely managed via TNR. About a year ago, Ella was shopping in downtown New Cumberland when she saw a sign about the foundation and thought, "Hurray! Someone is finally starting a TNR program." Ella continued to notice signs here and there over the next couple of months, and when she attended a dinner dance in Camp Hill hosted by CPAA had a chance to talk with a foundation volunteer. After checking us out on the web, Ella attended one of our first Volunteer Work Days and, as she says, "Here I am!". "The decision to support NCF was pretty easy. I had been looking for a way to help out and for my efforts to make a direct positive impact in the area in which I lived." Ella contributes in so many ways -- not just on Volunteer Work Days, but with fundraising events, regular donations of supplies and food, and as a volunteer supporting our clinic staff in the surgery suite as we grow ever closer to that 5,000 surgery mark. "To see the number of surgeries continue to increase on our whiteboard in the lobby brings much joy to my heart," she says, "knowing that the suffering from needless overpopulation is being eliminated." Ella shares her New Cumberland area home with four cats, two dogs, 13 chickens (all "hand-me-downs, strays, orphans and such") and two-legged human companion Chris. Together they have what is affectionately called "LaLa's Animal Plant." Bill and Lynne are lifelong cat lovers who note that they "are well-managed" by theirs. Bill, pictured here and recently retired from state government, enjoys gourmet cooking, wine tasting, and gardening. Lynne (a little camera shy) works in healthcare and is a life-long American Heart Association volunteer who also collects baskets. Both are past-presidents of the Pennsylvania Wine Society and are planning a wine and food tasting event to raise funds for NCF in 2015. Keep posted for more information about this wonderful event on Facebook, the web, and other venues. It's going to be a unique event and promises to raise awareness as well as funds for our mission! 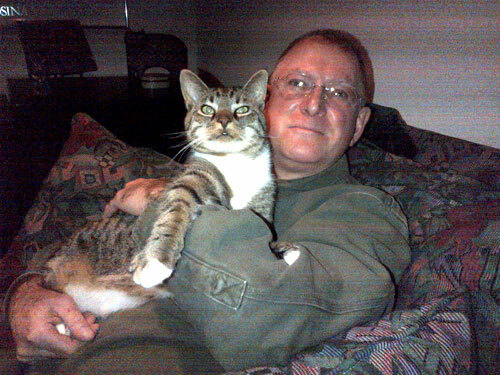 Bill, a long-time member of Alley Cat Allies, was looking for a volunteer opportunity to help cats when he read about the Nobody's Cats Foundation. He participates in almost every volunteer work day. Bill's culinary skills have expanded our yard sale Food Tent beyond the traditional bake and hot dog sale venue to one that offers additional fare for vegetarians, vegans, and those seeking something out of the ordinary. He also has contributed wonderful dishes for our various open houses while Lynne has added her special decorating touches. Bill and Lynne say that working with the NCF has led to a better understanding of the number of free-roaming cats in our region and the many ways volunteers can help to address key issues for these wonderful animals. Pat has been with the foundation from virtually our first day. She helps wherever needed, from fielding voicemail calls to staffing fundraising events and appearing for many monthly Volunteer Work Days. Pat's volunteerism goes way back - as an original supporter of Helen Krause who served on the founding board of directors of the Helen O. Krause Animal Foundation and part of the effort to establish HOKAFI's permanent facility in Dillsburg. Pat enjoys the flexibility our volunteer approach allows; she can help accomplish our mission without a set schedule. 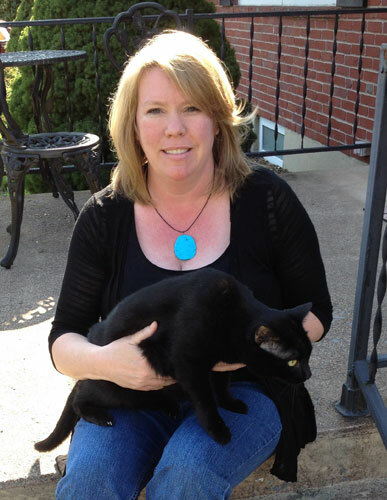 Pat shares her New Cumberland home with six cats and a 12-year-old "shiffon" Tink. She loves reading and making greeting cards (many of which you can buy from our retail area). She also serves as a caregiver for her elderly mother. "Humans in our communities should step up to solve the problem of animal suffering," says Pat, "since irresponsible humans contributed to the problem by failing to spay or neuter or abandoning their pets. We should give TNR a chance to improve the situation. The alternative of allowing the suffering to continue is unthinkable." Steve and Susan have been dedicated volunteers for the foundation since our earliest days. Both are motivated by their love of cats and their belief in our mission. 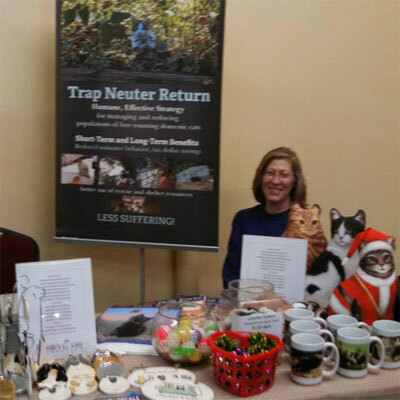 They have cared for free roamers in their town home community for about eight years and most recently, as part of their mission to encourage more TNR in their neighborhood, assisted two neighbors to humanely manage their colonies. "We honor those who take care of colonies," says Susan. "The dedication, time, money, and love is very admirable." "Communities and organizations should help these colony caretakers. They are a lifesaver to these cats and they are an important part of the solution," says Steve. In addition to appearing routinely for Volunteer Work Day, both have helped with numerous community and fundraising events and on Tuesdays with trap loans and other needs at our surgery clinic. We can always count on Steve and Susan to pitch in. Originally from Long Island, Steve worked for EDS in Camp Hill for 34 years and since retiring in 2010 has been a dedicated volunteer for many organizations including Big Brothers Big Sisters, Easter Seals, the Red Cross, Head Start, Catholic Charities, Jewish Family Services, Meals on Wheels, the Humane Society of the Harrisburg Area, the Multiple Sclerosis Society, the Muscular Dystrophy Association, the Alzheimer's Society, PAWS, United Cerebral Palsy, and the Friendship Center. Steve also is active in the Lower Paxton Lions Club. 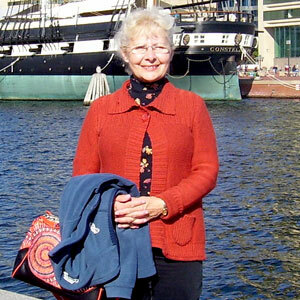 Susan is a Harrisburg native who recently retired after a long career in nursing. She plans to expand an already active volunteer role with many of the same organizations as Steve into new areas in support of the elderly and animals. Married for 14 years, the Rosenbergs enjoy gardening, traveling, and spending time with friends and family. They share their home with six indoor cats and two free roamers. Marcy has been coordinating our trap loan and shelter distribution programs for almost a year. 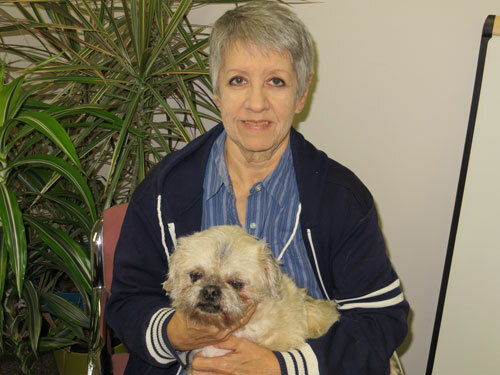 A member of the Alley Cat Allies' Feral Friends network, Marcy was seldom called upon to help but when she stumbled across the foundation, within walking distance from her work and minutes from her home, she was excited to find a place to volunteer. Marcy is a helpful mentor to many of the clients she meets, taking time to explain how the trapping process works and answer questions. You will find her most Saturdays at our facility, distributing traps, helping people plan surgery appointments, and jumping in wherever needed. She keeps in touch with many clients and those happy ending stories inspire her. "It has been extremely rewarding to work with the clients coming into the clinic. I didn't know what to expect when I started but it was heart-warming to see all the different people coming in, whether a retired couple or a big burly man," says Marcy. "The process can be a little overwhelming for someone new to TNR, but receiving the news that someone has finally caught that hard-to-catch female or elusive Tom makes it all worthwhile! I know I'm making a difference and that feels great."